If you’re the proud owner of a Weber Smokey Mountain then you already have one of the best made smokers available. Backyard cooks and competition teams alike use the stock standard Smokey Mountain with great success. 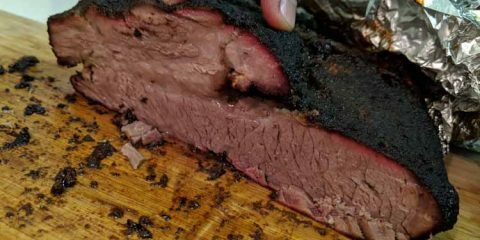 But if you want to squeeze a little bit extra performance out of your smoker, or fix any of the minor issues (like the flimsy door that can leak smoke) then you’re in the right place. We’ve pulled together a wide range of different mods you can make to your Smokey Mountain. We’ve also graded each one by it’s difficulty, price and how much the mod enhances the experience of using your smoker. While some of these items might be considered to be more like ‘accessories’ than ‘mods’ we’ve included them as well to give you the full picture on how to get the best performance out of your Weber Smokey Mountain. Gasket to seal front door. While the Smokey Mountain has earned it’s reputation as quality smoker, many people have issues with excessive smoke leaking out the front door. But you don’t have to buy a brand new door to fix the Smokey Mountain’s leaky door problem. 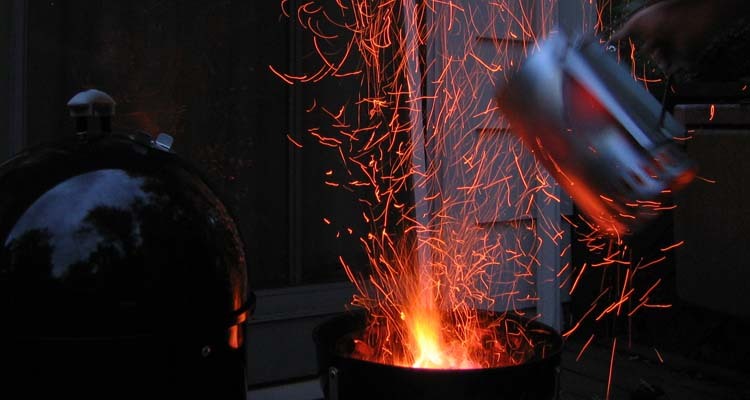 This issue is especially common for new WSM owners who struggle to control the temperature. Eventually the grease build up should help to seal your smoker better, but in the meantime you can really struggle to keep things under control. We’ve even heard of 22″ WSM owners whose doors never sealed properly. 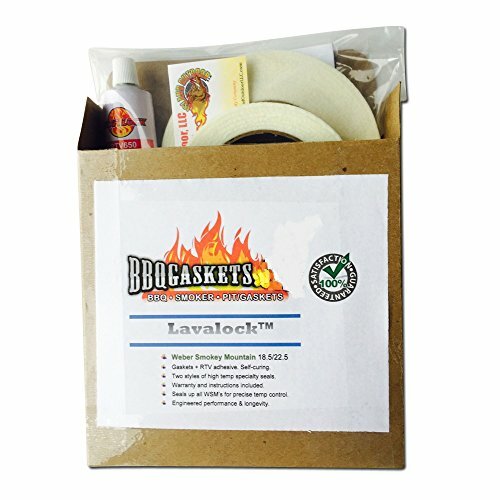 You can get a high quality nomex gasket kit that allows you to seal any leaks on your smoker. This is one of the easiest mods you can do, as the kit comes with all the instructions and gear you need to install. The adhesive used is high quality and should last for years without melting. You can see how easy it is to install a BBQ gasket in this video by the guys over at TwoVets OneGrill. While they demonstrate on a Kettle style grill you can still get a good idea of how the gasket works. 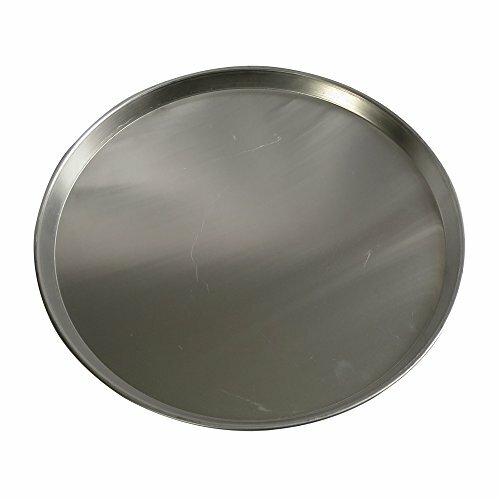 There’s a great post over on the bbq-bretheren.com forums showing you exactly how to install a gasket on the WSM. 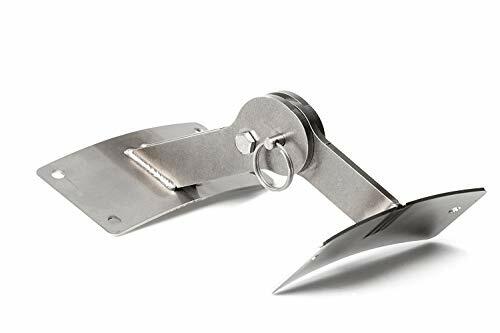 This is so effective at sealing up any weak points on your smoker we wish it shipped with the unit. The flimsy aluminum door that ships with the WSM leaves a lot to be desired. Because the door doesn’t fit snugly, it can leak smoke and heat. This can cause your smoker to get too hot as excessive oxygen flows in. This will effect you to varying degrees depending on your luck. Some units seem to be worse effected than others, probably due to how much it gets knocked around while shipping. 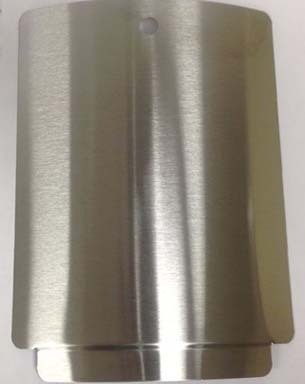 If you don’t want to go down the gasket seal kit route, then these stainless steel doors made by Cajun Bandit are a great option. These guys specialize in building quality mods and upgraded parts for the Smokey Mountain and Weber Kettle. As well as fixing the issue of heat loss, we find the heavy gauge stainless steel doors to be a nice visual upgrade as well, so if you want your Smokey Mountain to stand out from the crowd then give this mod a go. You can find a range of replacement doors over on their website for each size of WSM, just make sure you select the right model for your year of WSM as the designs have changed a little over the years. See the full range doors at the Cajun Bandit website. Taking the lid on and off your Smokey Mountain during a long cook can get annoying. Especially if you are cooking something that requires frequent spritzing or mopping. I’ve got a dog that would like nothing more than to stick his snout into the hot lid the second I put it down, and finding a safe spot to place the lid is a real pain. The folks over at Unknown BBQ solved this problem with a clever hinge. The same hinge can connect to either a 18″ or 22″ Smokey Mountain and with some simple installation can make your lid open into a locked position, then easily close the lid with one hand when done. The kit comes with all the hardware you need, as well as simple instructions. You will need a drill though, as installation requires drilling 6 holes and then attaching the hinge. Check out the guide below to see how to install the WSM hinge mod. The hinge is well built and looks good on the Smokey Mountain. The other advantage with using a hinge is if you use the top intake damper to feed your thermometer probe through. Placing the lid on the ground requires carefully removing the probe each time. If you want to install the hinge MOD and fix your leaky smoker you can buy a WSM hinge and gasket kit together on Amazon and save some money. Built in ‘dome’ style thermometers that come with smokers have built up a terrible reputation for a couple of reasons. In many cases manufacturers decide to cut corners and use cheap, poorly made thermometers. Another issue with dome thermometers is that the temperature they measure in the dome can be 10-20°F different to food. This mod idea comes from T-ROY COOKS who runs an excellent YouTube channel with lots of great guides and recipes for cooking on the WSM. 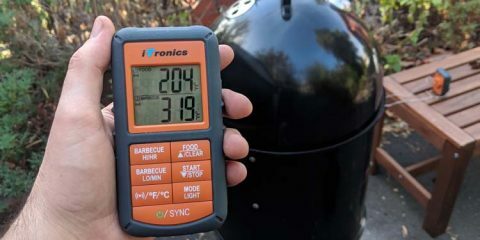 He had the excellent idea of using his Maverick ET-733 to measure the temperature at the grill grate level, and then used that to calibrate the new river country 5″ thermometer to accurately read the temperature at the level of the food. Confused? check out the video below to see how it all works. 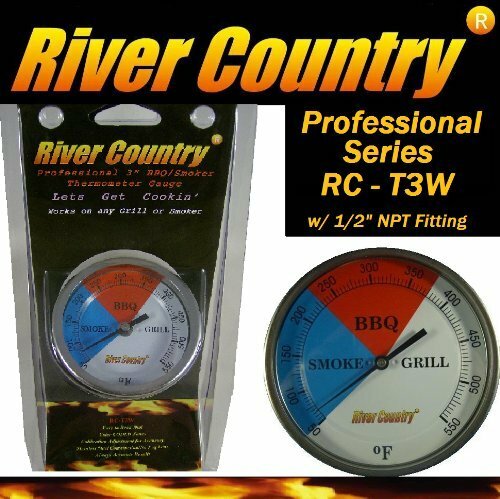 The River Country thermometer goes from 50° to 550°F, and the large 5″ color coded dial is much easier to read than the stock WSM thermometer. This is a great little mod that allows you to get an accurate temperature read. The best way to accurately manage temps over a long cook is still with a dedicated wireless probe thermometer setup that lets you check your temps from inside your house. But if you just need to get accurate temp readings on the fly this is a great modification. This is one of the most popular mods around (it’s also included in the video above). If you find yourself spending an arm and a leg on charcoal, this mod is a cheap and easy way to get better fuel efficiency out of your WSM. 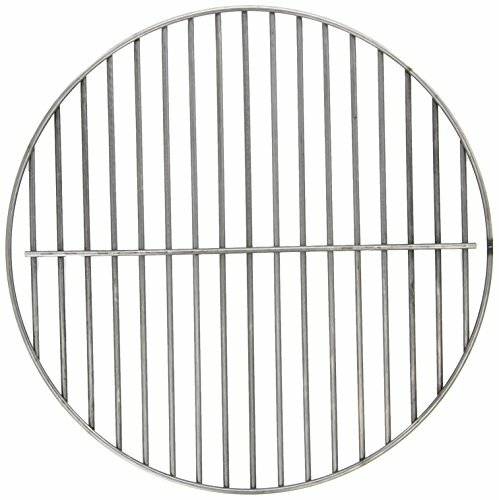 The stock charcoal grate that ships with the WSM has quite a large gap between each bar. This means that as your charcoal starts to break down, chunks fall through the gap into the ashes and die out. By buying another grate and connecting it to your original grate at another angle, you can make the gaps much smaller, and get more use out of your fuel. Installation is as simple as wiring the new grate to the original and then using it as a single unit. You should definitely consider the extra grill grate mod if you cook with lump charcoal often. While the WSM can cook for hours without needing much babysitting, you can turn it into a total ‘set it and forget it’ style smoker by installing a temperature controller. These units connect to one of the intake dampers at the bottom of your Smokey Mountain. Then you close off the other dampers so the only source of oxygen comes through the temperature controller. There are a variety of units available from different manufacturers, with a range of features including WIFI and the ability to adjust your smokers temperature from your phone. You can also create cook logs and temperature graphs. 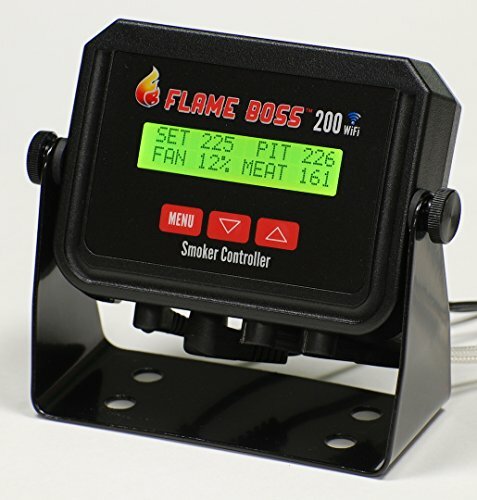 We are particularly fans of the Flame Boss 200 WIFI Temperature Controller. While it’s a bit more expensive than some other models, the setup is very straight forward. Once you’re setup the controller actually learns your smoker over time, and gets very accurate at controlling your temps. We’ve covered this model and other good options in more detail in our guide to the best automatic temperature controllers. Get the latest price for the Flame Boss on Amazon. The smokey mountain performs much better than pretty much any smoker in that price range. Especially compared to a offset which tends to leak like a chimney at the budget end of the scale. But if you find yourself cooking in extreme conditions like wind, rain or snow often, then even the WSM can struggle. Be a gentleman and offer it a jacket. A Silver Bullet silicone smoker jacket to be specific. This cover comes in two sizes to fit either the 18″ or the 22″ model. While more expensive than a regular cover, this cover is sewn from 700°F silicone coated material that helps to extend cooking time and conserves charcoal. The jacket slips over the top of the smoker, and even has a hole to accommodate your temperature controller, if you splashed out for that mod. The worst part about using the smokey mountain has got to be clean up time. The juices from the meat drip into the water pan, building up a foul, fatty mess that is almost impossible to clean up. This is especially the case if you’re using sand or ceramic briquettes instead of water, or just aren’t using water like when cooking hot for chicken. Let’s just say that when you lug a filthy water pan into the kitchen to try and clean it up, a certain someone won’t be very happy with you. While you can wrap the entire water bowl in foil, this is wasteful and time consuming (and there’s a reason I try and outsource all gift wrapping in my house!). This water man cover fits perfectly over the top of of your existing water pan and makes clean up much easier. Just take the cover off, scrape it clean and you’re good to go. While you can take your WSM apart and move it around without too much difficulty, especially when it’s cold, if you need to move it often then adding some caster wheels is a no brainer. Sold in a pack of 3, these wheels bolt on to the stands that WSM normally sits on, turning it into a much more mobile smoker. Two of the zinc swivel casters are lockable, allowing you to secure your smoker in place. Once side benefit of using these wheels it that they raise the height of the unit, making it easier to access the firebox and the damper valves. Especially good for those of us who are on the tall side. A word of warning though, adding wheels can be dangerous, and Weber have warned not to ever move a hot cooker. Make sure you’re careful with this mod. 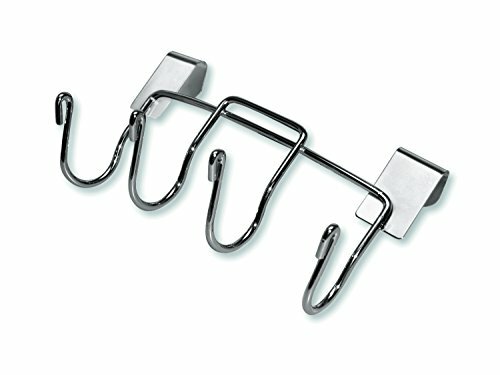 This little system of nikel-plated steel hooks clips on to 18 and 22″ WSMs to keep your essential barbecue tools like your tongs, grate cleaner or spatula within easy reach. Just be careful if you’re using with the lid off your smoker, as the clip gets a lot of it’s stability from the smoker lid. It’s pretty easy to knock the clip loose and send your tools flying. While these don’t fall into the ‘mod’ category, these are some of the best accessories all smokey mountain owners should get their hands on. Rib racks – If you need to cook more than a few slabs of ribs at once you’ll quickly run out of space. Rib racks allow you to easily stack multiple racks together to make better use of your smoking real estate. This rib rack from Weber holds five racks of ribs, and you can fit multiple rib racks at once. 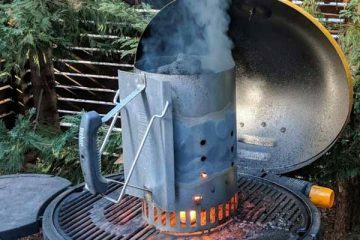 Charcoal Chimney Starter – A chimney starter is hands down the easiest, fastest and most reliable way to get your charcoal started. Fill it up with charcoal and place over some newspaper or a natural firestarter and you’ll be ready to cook in 15 minutes. 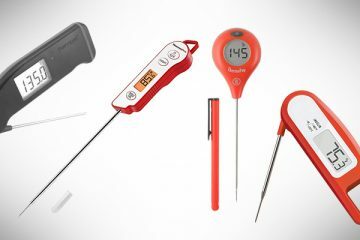 Wireless probe thermometer – Being able to measure your smoker temp and keep track of your food at the same time, from the comfort of your sofa makes smoking so much better. Invest in a good quality unit like the Smoke by Thermoworks. Cajun bandit rotisserie – While smoking and rotisserie don’t usually go together, we love experimenting. Especially useful if you fire up your Smokey Mountain hot for chicken. 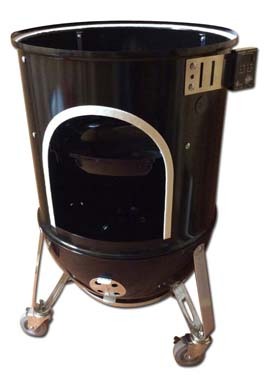 Unlike the Weber Rotisserie, Smokey Bandit sells a rotisserie that fits the 22 and the 18″ Kettle AND Smokey Mountain. If you want to learn more, then head over to the virtualweberbullet where you can find a whole section dedication to modifications, including different thermometer installations, ways of increasing cooking capacity and more. That brings an end to our guide to modifying your Weber Smokey Mountain. While these are by no means mandatory, they’re a fun way to enhance your smoker and make it unique. There are hundreds of different variations of these mods, so let us know in the comments below if you think we’ve missed your favorite mod. There is also a clever wheel kit that also comes with integral cylinder locks made by Cajun Bandit. The addition of the cylinder lock helps to keep the smoker more stable. Hi, My favorite mod happens to be my very own idea. This modification has never been mentioned anywhere that I’m aware of. I belong to every Weber group on facebook, and this has never been considered by any member. Besides this being the best modification that anyone can make, it is the most important, and the least expensive. Impact: 10/10 The best mod is simply to replace every nut and bolt with stainless steel hardware. The Weber supplied hardware WILL rust in a short time, which WILL cause anything that the rusting hardware touches to also rust. Hey Ernest, Thanks for the great mod suggestion! Sounds like an easy and cheap way to improve the durability of the WSM. Thanks for sharing. I totally agree. I bought a 22 inch floor model that was already put together. When I got it home and before it was ever fired up, I went to the hardware store and purchased all stainless bolts, screws, and nuts and changed all of the original hardware out. It still looks great today after more than 8 years of use and sitting outside under it’s cover. Definitely worth it.